Deep at the heart of our galaxy lurks a black hole. This isn’t exciting news, but neither is it a very exciting place. Or is it? While all might be quiet on the western front now, there may be evidence that our galactic center was once home to some pretty impressive activity – activity which may have included multiple collision events and mergers of black holes as it gorged on a satellite galaxies. Thanks to new insights from a pair of assistant professors, Kelly Holley-Bockelmann at Vanderbilt and Tamara Bogdanovic at Georgia Institute of Technology, we have more evidence which points to the Milky Way’s incredibly active past. Now, imagine a night sky illuminated by a a huge nebula, one that covers half the celestial sphere. This isn’t a dream, it’s a reality. These massive lobes of high-energy radiation are known as Fermi bubbles and they cover a region some 30,000 light years on either side of the Milky Way’s core. While we can’t observe them directly in visible light, these particles are moving along at close to 186,000 miles per second and glowing in x-ray and gamma ray wavelengths. However, our galactic center is home to more than just some incredible bubbles – it’s the location of three of the most massive clusters of young stars within the Milky Way’s realm. Known as the Central, Arches and Quintuplet clusters, each grouping houses several hundred hot, young stars which dwarf the Sun. They will live short, bright, violent lives… burning out in a scant few million years. 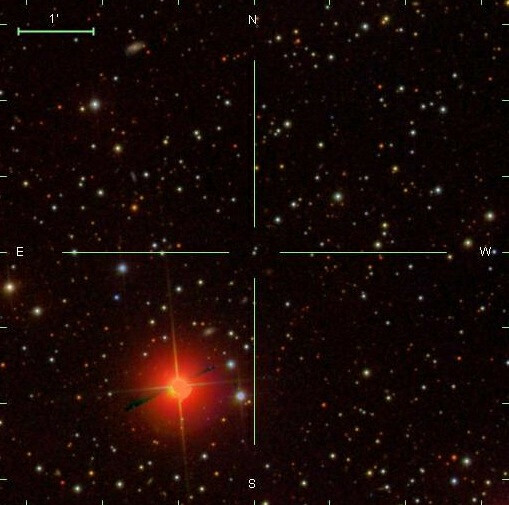 Because they live fast and die young, these cluster stars must have formed within recent years during a eruption of star formation near the galactic center – another clue to this cosmic puzzle. To deepen the mystery, take a closer look at our central black hole. It spans about 40 light seconds in diameter and weighs about four million solar masses. According to what we know, this should produce intensive gravitational tides – ones that should be sucking in the surroundings. So how is it that astronomers have uncovered groups of new, bright stars closer than 3 light years from the event horizon? Of course, they could be on their way to oblivion, but the data shows these stars seem to have formed there. That’s quite a feat considering it would require a molecular cloud 10,000 times more dense than the one located at our galactic center! Shouldn’t there also be old stars located there as well? The answer is yes, there should be… but there are far fewer than what we can observe and what current theoretical models predict. Holley-Bockelmann wasn’t about to let the problem rest. When she returned home, she enlisted the aid of Vanderbilt graduate student Meagan Lang to help solve the riddle. Then they recruited Pau Amaro-Seoane from the Max Planck Institute for Gravitational Physics in Germany, Alberto Sesana from the Institut de Ciències de l’Espai in Spain, and Vanderbilt Research Assistant Professor Manodeep Sinha to help. With so many bright minds to help solve this riddle, they soon arrived at a plausible explanation – one which matches observations and allows for testable predictions. According to their theory, a Milky Way satellite galaxy began migrating towards our core. As it merged with our galaxy, its mass was torn away, leaving only its black hole and a small collection of gravitationally bound stars. After several million years, this “leftover” eventually reached the galactic center and the black holes began to merge. As the smaller black hole was swirled around the larger, it plowed up huge furrows of gas and dust, pushing it into the larger black hole and created the Fermi bubbles. The dueling gravitational forces weren’t gentle… these intense tides were quite capable of compressing the molecular clouds surrounding the core into the density required to produce fresh, young stars. Perhaps the very young stars we now observe at the galactic center? However, there’s more to the picture than meets the eye. This same plowing of the cosmic turf would have also pushed out existing older stars from the vicinity of the massive central black hole. It’s a scene which fits current models where a black hole merger flings stars out into the galaxy at hyper velocities… a scene which fits the observation of a lack of old stars at the boundaries of our supermassive black hole. Can any of this be proved? The answer is yes. Thanks to large scale surveys like the Sloan Digital Sky Survey, we should be able to pinpoint stars moving at a higher velocity than stars which haven’t been subjected to a similar interaction. If astronomers like Holley-Bockelmann and Bogdanovic look at the hard evidence, they are likely to discover a credible number of high velocity stars which will validate their Milky Way merger model. Or are they just blowing bubbles?